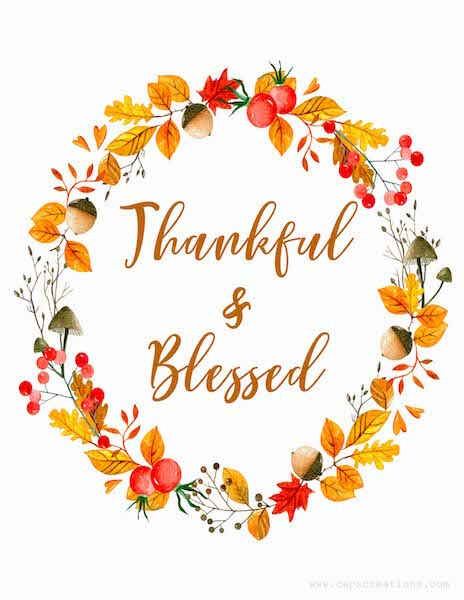 Free for you today is this Thankful & Blessed fall printable. I hope you enjoy it in your home as much as I do in mine! I love touches of the season sprinkled throughout the house and this printable allows me to do just that. It prints out on a regular 8.5x11 sheet of paper. Please let me know if you like it or if you need any assistance, also let me know if you have any suggestions for future printable items. Linking up at Tip Me Tuesday, Reader Tip Tuesday. Looks gorgeous. Would love for you to stop by and link this up to More The Merrier Monday.